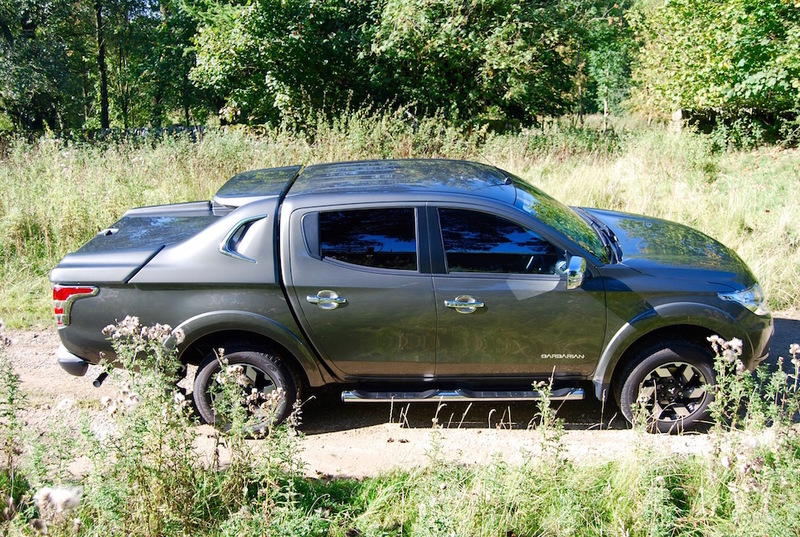 This is the New Mitsubishi L200 – a vehicle that, in double or ‘crew’ cab guise, is part of the popular genre that crosses the divide between workhorse and family SUV. The 5th generation of Mitsubishi‘s L200 hasn’t changed that much visually from the outgoing model, it’s obviously the same three-box shape but it’s been updated and modernised. There’s the obligatory new ‘face’ i.e. sweeping headlights and striking grille, but the L200’s stance has also been beefed up a bit thanks to some crease lines above the wheel-arches. Inside, it’s a far more car-like feel than there was previously. 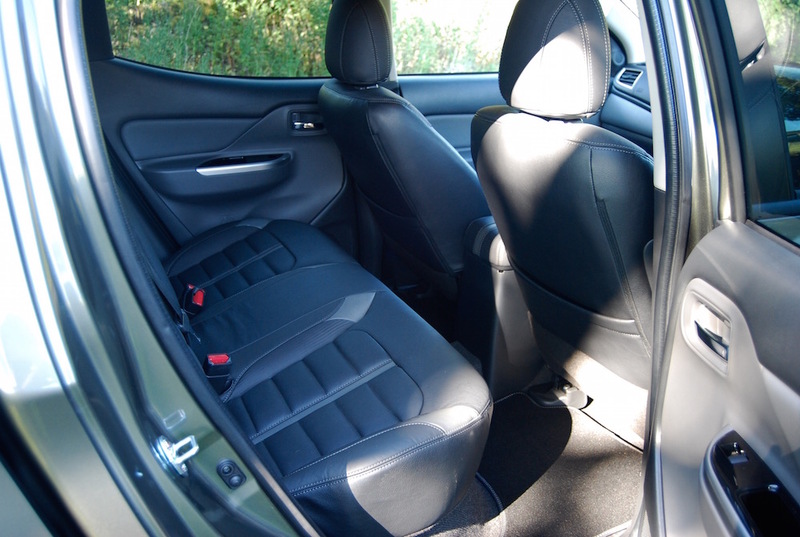 The seats are supportive and comfortable, and the driving position is more involving as you’re legs stretch out in front, rather than the feeling of perching on top of the pedals. It’s noticeably quieter and more serene inside the cabin with less intrusion from the engine and a drop in air turbulence – no mean feat when the body’s shape is less-than aerodynamic. Anyone who’s previously owned an L200 might be disappointed to find that the handy, sliding rear window has gone but that’s apparently all part of this new, grown-up ambiance. 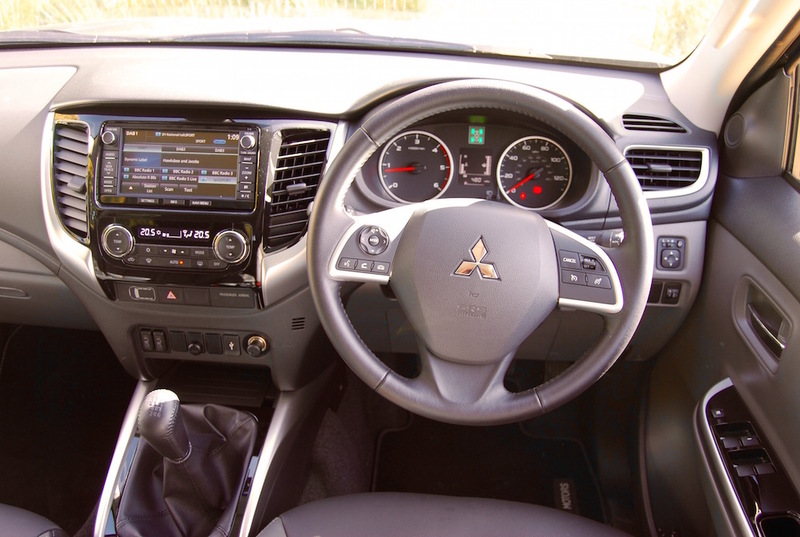 Another omission from previous L200s is the ‘second gearstick’ – used for switching between 2wd and 4wd, low and high ratios. In its place is a far more civilised, less industrial dial that requires no amount of wrestling or stirring to operate as it rotates – totally fuss-free. I wouldn’t fancy negotiating a regular parking space in something over 5m long without assistance of some kind, especially with 1.5m of load-bed to deal with. I’d always opt for some reversing sensors to the camera our Barbarian spec L200 comes with, though; it seems to make more sense than staring at a screen. Other safety features include trailer stability assistance and lane departure warning – although ours persistently bonged for no apparent reason, even when supposedly turned off. Although most of the interior has seen vast improvement in terms of quality and refinement, don’t expect Q7 or Range Rover grade plastics and leather – this is a sub £25K car, after all. The major improvement over the outgoing L200 is the drivetrain in the shape of a new, aluminium 2.4l diesel engine and the six-speed manual ‘box our test car is mated to. At tick-over and when you get above 3K rpm and there’s a fair amount of clatter, as you’d expect, but this engine is happiest at 1100rpm and below, where its 430Nm torque will pull cleanly in any gear. Emissions drop from 225g/km to a potential 180g/km (186g/km on Barbarian manual) so it’s so much better than the 2.5l unit it replaces and keeps it up to date with the competition, i.e VW’s Amarok and Ford’s Ranger. That six-speed ‘box is also streets ahead of the 5-speed unit from the previous L200. It could never be described as short-shift as the throw is substantial, especially up to first, but it’s smooth and notch-free – altogether less industrial. 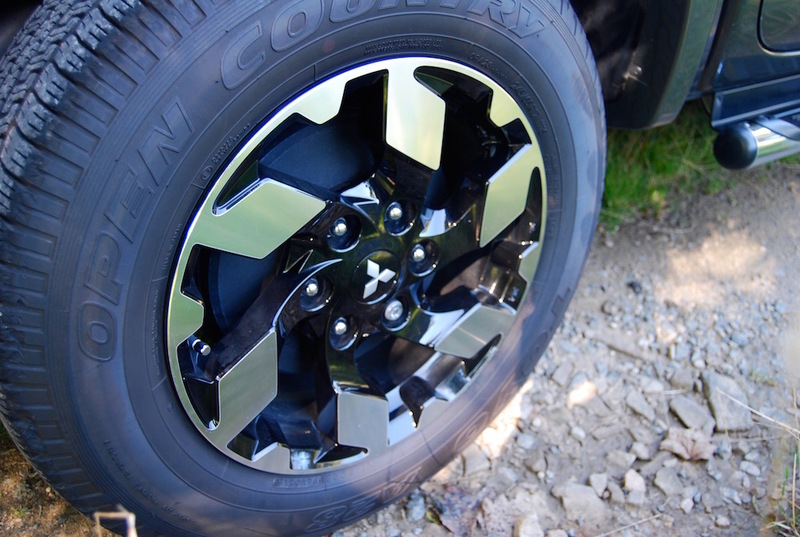 As with the vast majority of pickups, the rear suspension comprises of a leaf-spring setup, and with very good reason: they’re simple, cheap and great for heavy loads. The new L200’s suspension has been improved massively, but it’s essentially designed for carrying heavy loads. Unladed, it’s not so good, meaning in 2WD mode, the rear end has a tendency to cut loose over bumpy surfaces and when pulling out of wet junctions. The solution? – twist the dial around to 4WD mode to make the front end pull it’s weight, literally. 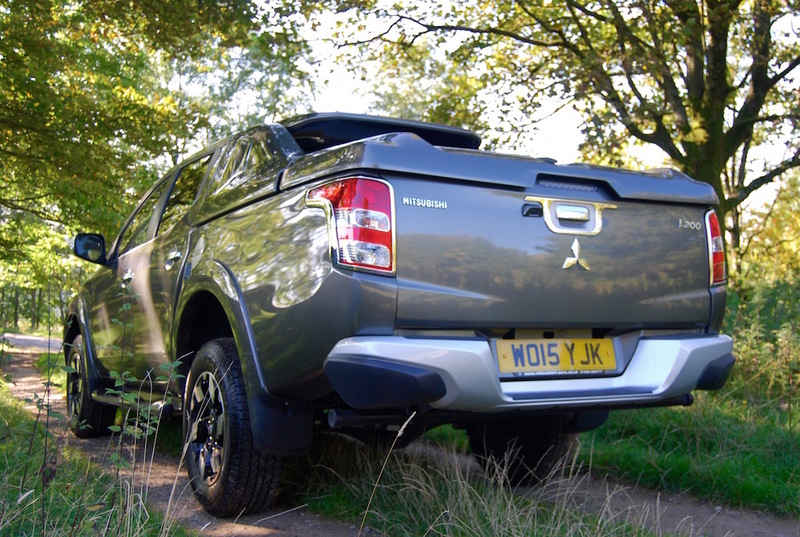 The L200 is now supplied with the same intelligent 4WD system as the Shogun and it really inspires confidence on the road. The L200’s leaf-springs have also been lengthened and the chassis stiffened, what this adds up to is a really settled ride and no lunging feeling when quickly changing direction. 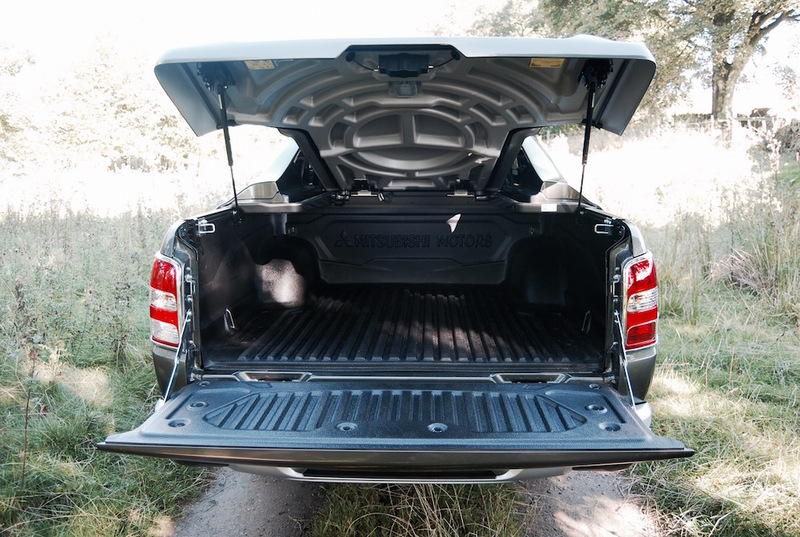 With locking diffs and a low ratio ‘box, the new L200 is apparently a capable off-roader; if soggy leaves and damp tarmac are more your scene, that useable 4WD system is reassuring and really keeps things on the straight and narrow. 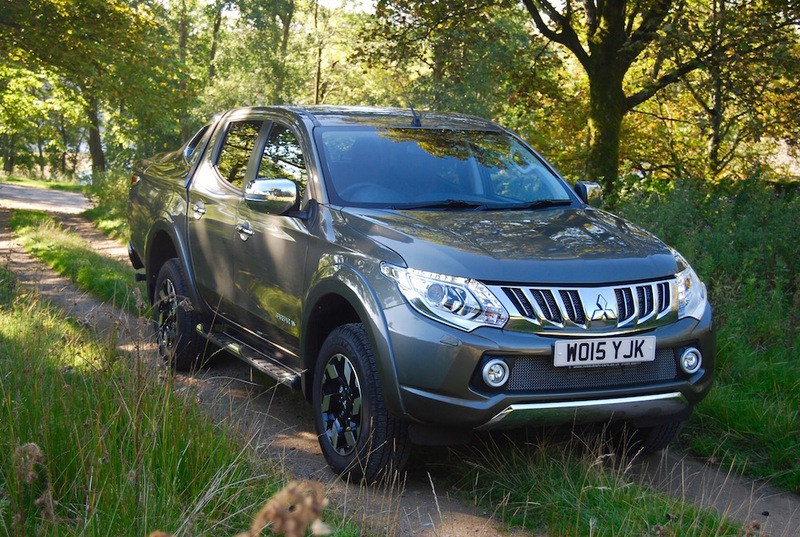 The Mitsubishi L200 has found many homes in the UK, mainly thanks to practicality and value. 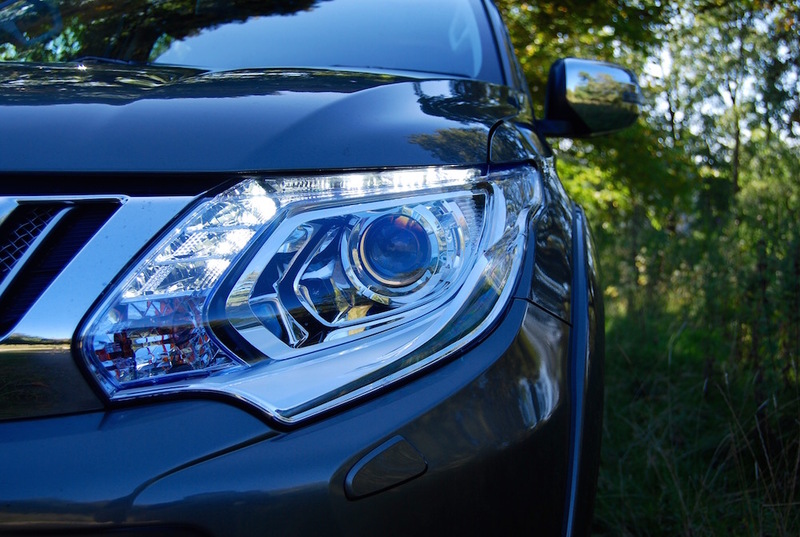 With its new, up to date engine and gearbox, along with some serious improvements to road manners, this new L200 carries on in the same vein.